I think CHEVY uses a dual nut for hubcaps that is 1/2-20 lh internal thread. Use those with whatever chevy uses for retention. Or use really long lugnuts with the closed ends tapped & threaded. Using a magnet to attach moonhubs is a very ingenious idea. Do you think it will be safe at highway speeds? It's been done on this forum and failed - but enough magnets should eventually do the trick. You can buy magnets that will hold 100's of pounds of weight, but they cost 100's of dollars. Gluing magnets means two potential points of failure, the magnet to magnet interface, and the glue itself. The coatings on cheap rare earth magnets fail, and then the magnets crumble. Quality magnets are expensive. 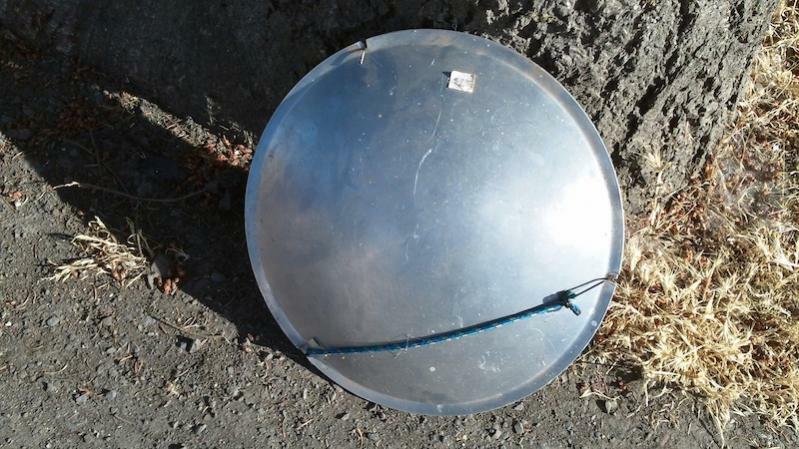 A flying disc can do a lot of damage, and in the era of dash cams you'd want to be certain of your install. Use sufficient magnets and you'd bend a Moon disk trying to get it off. They're not that thick. Has anyone actually tried attaching moon disks with magnets? I haven't but I have a candidate set of disks. The original three holes were worn out, so I got them for $5 for the set of four at a swap meet. If I were to implement this, I'd try pulling on the magnet with a 2nd, more powerful magnet and then ring it off. Those look good. Be sure to let us know how they end up working out! They could stand planishing and buffing. 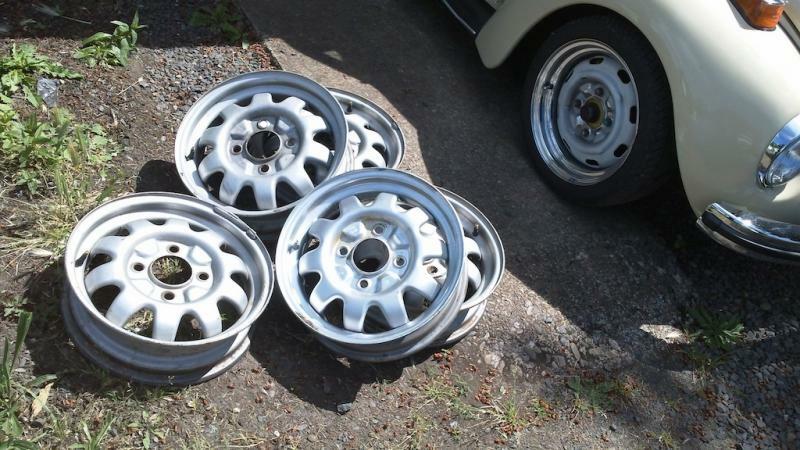 My intention is to sell the Superbeetle as is and put these Marathon/Jubilee OEM wheels on my last remaining Beetle. Maybe they will wind up on those. I wouldn't want to drill holes in them. My son buys magnets for gaming miniatures in bulk. Planishing? There are welds that need to be flattened by force? Wouldn't that be hammer welding? Planishing is a metalworking technique that involves finishing the surface by finely shaping and smoothing sheet metal. I hadn't thought about welding patches in the notches. Instead I was going to fold aluminum disks like a taco and crimp them over the (12) notches and drill holes in them. I stand by my definition. I was wondering what you were beating on.